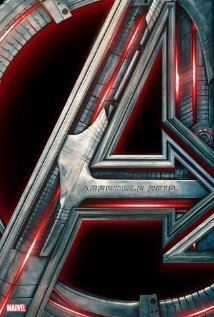 After the fourth worst July 4th weekend in box office history, I’m sure many of you have been waiting for a movie finally worth seeing. Well The People’s Critic is here to the rescue with not one but TWO great films to see right now: Snowpiercer and Dawn of the Planet of the Apes. The amazing thing is that these two films have more in common than their release dates! Both take place 10 years after a cataclysmic event that nearly wipes out the entire human race. Both warn against the effects of totalitarianism. Both star a different British guy from Tinker Taylor Soldier Spy. Both are excellent. Snowpiercer stars Chis Evans as Curtis who exists with the last handful of humanity left alive after a failed experiment to reverse Earth’s rising climate resulted in another ice age. The only survivors are those who boarded a bullet train that was designed by an enigmatic billionaire named Wilford (Ed Harris) to perpetually cycle the earth in annual rotations with no need for fuel. Curtis is a “Freeloader.” Freeloaders are the poor who are permitted to board the train but are relegated to the tail-end of the train and live in deplorable conditions. The train features a second and first class passage for those wealthy enough to afford the tickets, each with far more luxurious accommodations. Unsurprisingly, the Freeloaders get fed up with their position in the train and the conditions that they are forced to live with such as the mysterious gelatinous “Protein bars” that are their sole food supply. As the film progresses, director Joon-Ho Bong (The Host, the Korean monster one, not the lame Saoirse Ronan one) slowly reveals exactly what the Freeloaders have had to do and live with in order to survive in their compartments. Curtis with the help of an aging leader named Gillian (John Hurt) stage a rebellion that will take them through the entire length of the train with the goal of reaching and taking control of the sacred engine car. 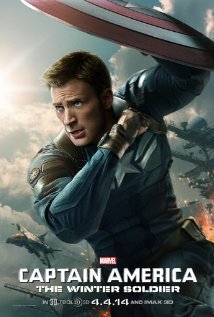 This fight to the front is the main action of the movie, and it is really exciting. Every car is wildly different with new and interesting experiences for the characters that keep the movie fresh and engaging. Snowpiercer is a witty and enjoyable allegory about class warfare and the dangers of totalitarianism. Directed by a South Korean, it is hard to not see this film as a somewhat veiled criticism on the state of North Korea. Political and allegorical messages aside, Snowpiercer is a solid, intelligent summer action film with great performances. Tilda Swinton may give the first Oscar-worthy performance of 2014 as the deliciously evil Minister Mason who combats Curtis and his army in the most sly and conniving of ways. Snowpiercer easily could be labeled the best film of the summer, if not for…. 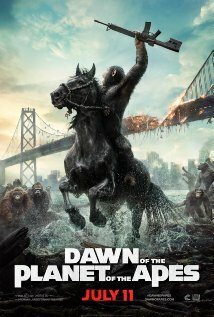 Dawn of the Planet of the Apes is the follow-up to 2011’s Rise of the Planet of the Apes and truly puts the mesmerizingly talented Andy Serkis in the spotlight that he truly deserves. Serkis reprises his motion-capture role as Caesar, leader of the now highly evolved population of apes. Ten years have passed since the battle of San Francisco. The H5N1 virus, nicknamed the Simian Flu, has killed off most of humanity except for a miniscule group of people immune to the virus. The apes have migrated to the forests and have evolved to such a degree that they have built a civilization that has allowed them to develop an entire culture. Oddly the fantastic score by Michael Giacchino during an early scene where the apes demonstrate a highly advanced hunting technique is reminiscent of the score from 2001 A Space Odyssey that accompanies that film’s apes making an important evolutionary step. It is this kind of subtext that makes the film so impressive. As the surviving humans realize they are running out of fuel, they conclude that their only hope is repairing a power-generating dam that is smack in the middle of the apes’ new civilization. Fear and paranoia mount on both sides as a stage is set worthy of Shakespeare, Serkis’s character being named Caesar clearly being intentional. Caesar’s memory of compassionate humans causes him to hesitantly permit a group of humans lead by Ellie (Keri Russel) and Malcolm (Jason Clarke) to repair the dam. Ellie and Malcolm are two ‘Chimp-athetic’ humans, if I may use a phrase coined by Entertainment Weekly’s film critic Chris Nashawaty, but many of the other humans are not including the desperate human leader Dreyfus (Gary Oldman) who will not allow his people to sink back to the uncivilized life they had before setting up their current compound in San Francisco. Of course, misplaced trust and a few bad apples on both sides threaten the safety and livelihood of both man and ape resulting in the threat of another all-out war. Caesar and Malcolm are tasked with the mission of trying to maintain peace. Dawn of the Planet of the Apes is an incredibly good looking movie and one with momentary glances of brilliance. Most of the film’s success can be attributed to the expressive Andy Serkis, however. Never in all of his underrated performances has he given a performance so emotional, raw, and empathetic. Caesar is an ape of few words, regardless of his ability to speak, and his face (and consequently Serkis’s) communicates complex emotions unlike anything we have seen him convey before. If Tilda Swinton’s performance in Snowpiercer starts the Summer Oscar conversation, Serkis’s totally immersive performance as Caesar certainly adds to it. 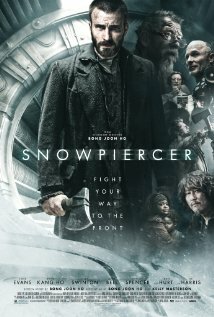 Snowpiercer is also available on VOD and is rated R with a running time of 2 hours and 6 minutes. Dawn of the Planet of the Apes is rated PG-13 and has a running time of 2 hours and 10 minutes.